3. New York Yankees: The Bronx Bombers picked the perfect time to get healthy at just the right time. As the #1 seed in the AL, the road to the World Series will most likely be earned through Yankee Stadium. Derek Jeter led the league with 215 hits and had a .317 average at the age of 38. El Capitan should garner serious MVP top 5 Votes. CC Sabathia has looked like himself recently and Andy Pettitte always finds a way to get it done. Ichiro Suzuki may play a huge decisive role in the playoffs. A-Rod and Mark Teixeira need to step-up their performances from last year. Robinson Cano was out of his mind hitting .631 in the last 10 games he played. I like the Yankees to clobber through the Orioles should they make it into the ALDS, or knock out the flailing Rangers by out-slugging and pitching them. I think that they will run into a tough time with the Detroit Tigers if they meet up. Should the Yankees avoid the Tigers, they would be my pick to win the WS. Unheralded player to watch out for in the Playoffs: Raul Ibanez– this guy has come up with some great clutch hits in his career and for the Yankees this season. 4. Washington Nationals: Stephen Strasburg aside, the Nationals have a deep starting pitcher rotation and are healthy on offense as they ever have been. I am worried about the youth of this club going up against the Braves or St. Louis Cardinals, however I think they prevail in the NLDS in 5 games versus either team. I think Jayson Werth and Bryce Harper will need to have phenomenal playoffs for the team to make the World Series. Mike Morse, Adam LaRoche and Ryan Zimmerman have been solid all year and I expect the same from these guys in the playoffs. It is their depth that has carried them. Where they are vulnerable is when you get past starters Gio Gonzalez and Jordan Zimmermann, to get to Ross Detwiler, John Lannan or Edwin Jackson. I believe this will be the teams undoing in the playoffs. Unheralded player to watch in the Playoffs: Tyler Clippard -in either the set-up or closer role, they will need him to be part of the shut-down bullpen. 5. San Francisco Giants: The Giants are so lucky that Buster Posey hit .380 after the ALL-Star Break and carried the club down the stretch. If there was a transaction at the Trade Deadline that changed the fortunes of one team it was Marco Scutaro. The guy finished hitting .402 in September and was 3rd in the NL in hits. I love the 1st 3 pitchers of the Giants but have no faith in Tim Lincecum or Barry Zito. Also not having Brian Wilson will catch up to them in the playoffs. 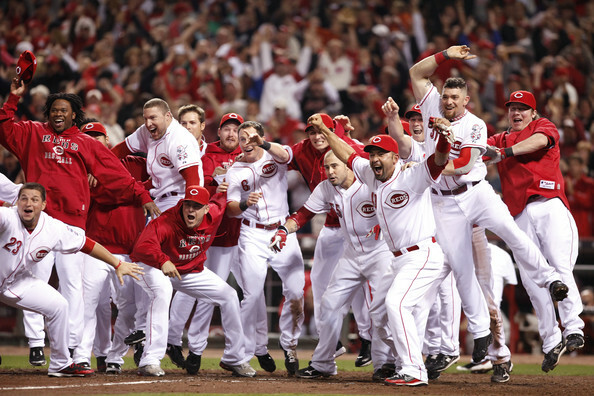 I think they lose in the NLDS to the Reds. Unheralded Player to watch out for in the Playoffs: Angel Pagan. He led the Major Leagues with 15 triples and has been steady all year long. If he and Scutaro can wreak havoc on the bases, it may provide enough spark for the Giants to go far. 6. Texas Rangers: Even though the team lost their 13 game division lead to the Athletics, I love their chances to wail down on the Orioles in the Wild Card Playoff Game. For some reason, the Rangers have feasted on the Baltimore club for the last few years. This is why they also signed Yu Darvish, was for elimination games such as this one. I think Josh Hamilton will be motivated to have a great game. With the game being in Texas heavily favors the Rangers. This offensive friendly park will provide the difference needed. Mike Napoli and Mike Young have been hitting the ball with authority in the last week. Adrian Beltre is fighting through his injury to still provide clutch hitting. I think they will lose in the next round to the Yankees. It will be the pitching that fails them. Unheralded player to watch for in the playoffs: David Murphy. The guy has been having a solid year and has been a major catalyst to the offense. The Braves have won 23 straight games in which Medlen has appeared, if they can make it 24 today versus the Cardinals in the Wild Card Games, then they will play the Washington Nationals in the NLDS. 7. 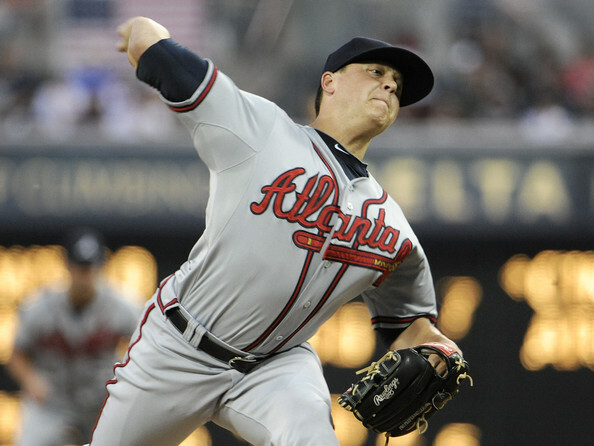 Atlanta Braves: 23 straight times Kris Medlen has taken the bump and his team has come back with a victory. I would have ranked them higher but anything can happen in a one-game playoff versus the defending World Series Champions. The Braves will be trying to win for Chipper. This will prove to give the home club a major advantage with an expected sellout at Turner Field. If this was a routine playoff fame, and not the potential last game of their franchise player, there would be many empty seats in Atlanta. I like the Braves to squeak out the game and then lose to the Nationals in the NLDS. The Braves are scary though. Tim Hudson will need to be ‘money’ should they reach the next round. Jason Heyward, Brian McCann and Freddie Freeman must all carry the club. Unheralded player to watch for in the Playoffs: Reed Johnson. He should see some at bats in the postseason versus Left-Handed Pitchers. Johnson is one of the better hitters versus Left-Handers for a number of years. 8. St. Louis Cardinals: They will go to the Wild Card Game and throw 2012 MLB Winning Percentage Leader Kyle Lohse. He is my key unheralded player here. There will be no category after this ranking write-up. 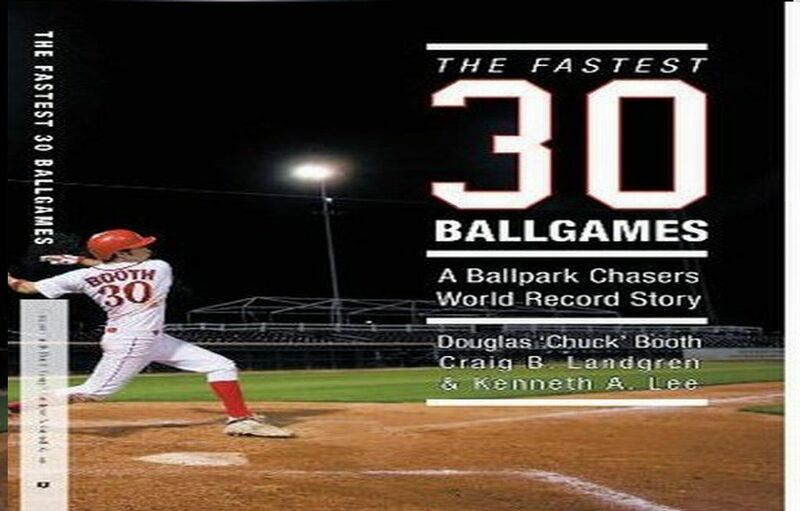 The Cardinals admirably made the playoffs after exits from Albert Pujols, Tony La Russa and Dave Duncan. This club will be a load to knock off for Washington if they make it through today. In fact, I may predict the Cardinals will push the Nationals to 5 games in the next round if they win today. Matt Holliday has a chance to prove he can be the club’s big bat in the post season this year. Yadier Molina is the best all around player in the National League this season. If it wasn’t for Buster Posey, he may have been the favorite for the NL MVP. Unheralded Player to Watch For: Allen Craig. The guy has been coming up clutch all season long. 9. Oakland Athletics: It has been a year of them surprising all of the writers and analysts in baseball. While I love the story, plus think that Billy Beane is a genius, I just can’t see them beating out Detroit. I think it is their worst possible matchup. The A’s can play with the Rangers, Yankees or Orioles no problem this year. If I am wrong, then it will still be cool. The bats of Yoenis Cespedes and Josh Reddick must be lively against the Tigers. The young pitchers also must find a way to get Miguel Cabrera out. You can bet on one thing. No deficit in a game or the series will deflate the ball club. They will compete until their final out. Playing at Comerica Park and o .co Coliseum will prove hard as pitchers parks. Unheralded Player(s) to Watch for: The Platoon of Brendan Moss and Chris Carter. These guys have numbers combined that featured the best production for the position of first base when it came to HRs. 10. Baltimore Orioles: These guys had an unbelievable year to just make the playoffs. Now they are rewarded to play the 2 time reigning AL Champions. Buck Showalter will make this one game Wild Card game last 4-5 hours with all of the changes he will do this year. They have to face Yu Darvish, who has been pitching great lately. He has big game experience from the World Baseball Classic and I think he will get it done against the Orioles. Should the club win the Wild Card, it will be one hell of a series versus the Yankees. I think the big stage will be just too much for the young team. Kudos to the franchise making baseball relevant in Baltimore again. Unheralded Player to Watch for: Jim Thome will maybe have his last crack at a World Series and could do some damage as the DH versus Darvish and then in the next playoff rounds. He has a vast resume in the postseason and Baltimore will need him to go far. 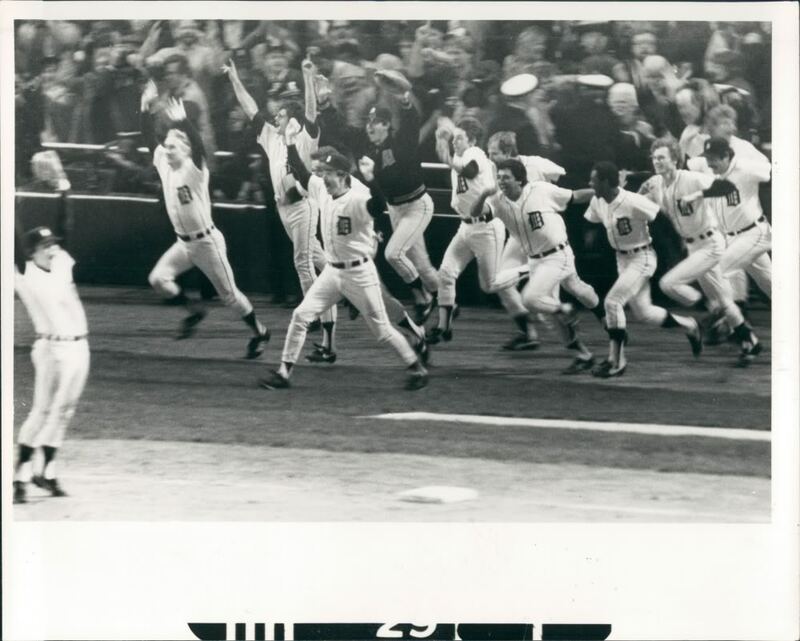 1984 was the last time the Tigers won the World Series. Will they win it again this year? Posted on October 5, 2012, in The Rest: Everything Baseball and tagged adam laroche, adrian beltre, albert pujols, alex rodriguez, allen craig, andy pettitte, angel pagan, aroldis chapman, Atlanta Braves, barry zito, billy beane, brandon phillips, Brian McCann, bryce harper, buster posey, cc sabathia, cincinnati reds, comerica park, dave duncan, david murphy, derek jeter, detroit tigers, edwin jackson, freddie freeman, homer bailey, ichiro suzuki, jayson heyward, jayson werth, jim thome, joey votto, john lannan, johnny cueto, josh hamilton, josh reddick, kyle lohse, Marco scutaro, mark teixeira, matt holliday, miguel cabrera, Mike Morse, mike napoli, new york yankees, o.co coliseum, oakland athletics, omar infante, prince fielder, raul ibanez, reed johnson, robinson cano, ross detwiler, st louis cardinals, texas rangers, tim lincecum, todd frazier, tony la russa, tyler clippard, washington nationals, world series, yadier molina, yoenis cespedes, yu darvish. Bookmark the permalink. 2 Comments. Reblogged this on Johnny's Baseball Blog.